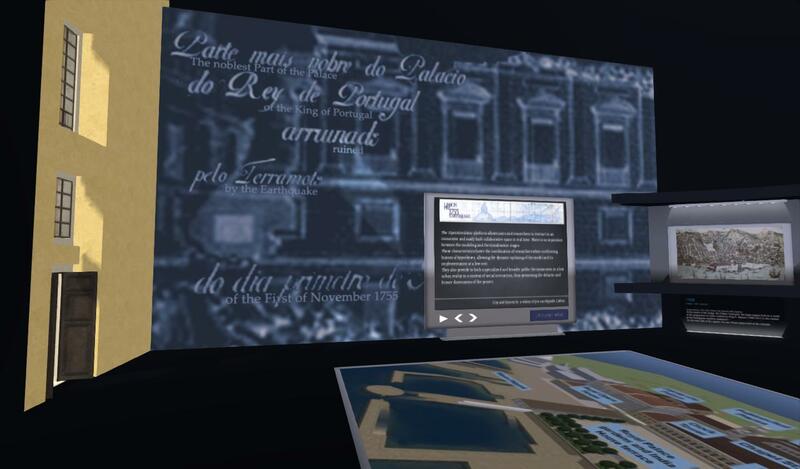 A pioneer project in Portugal, it is promoted by the Centre for History of Art and Artistic Research of the University of Évora (CHAIA), the company Beta Technologies, and the King’s Visualisation Lab (KVL), King’s College London. 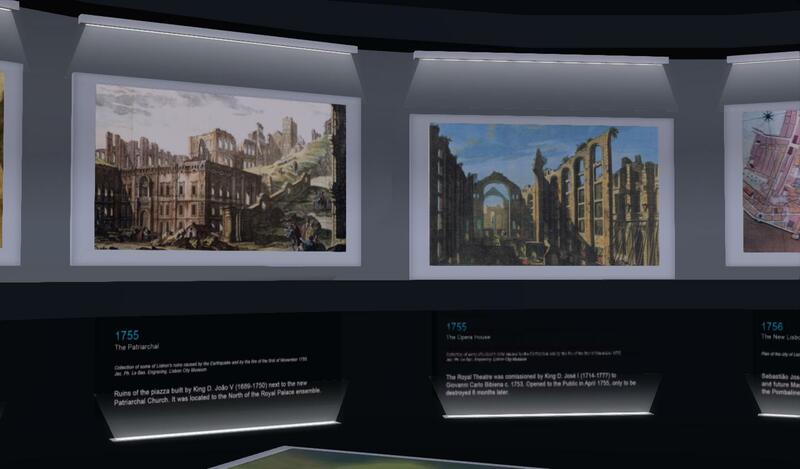 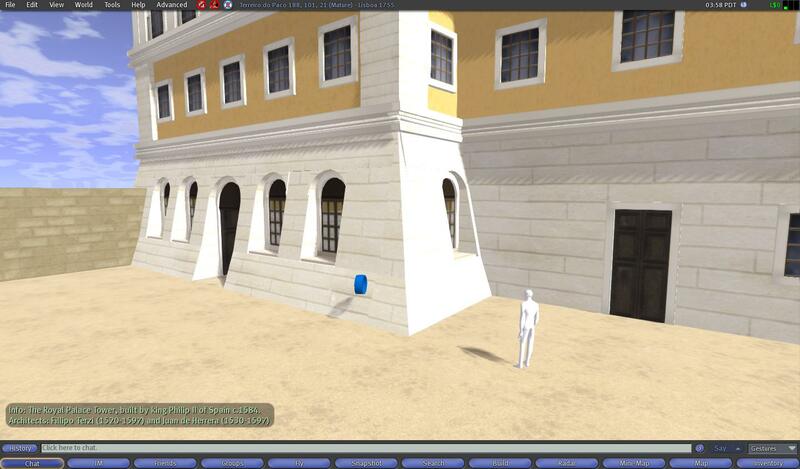 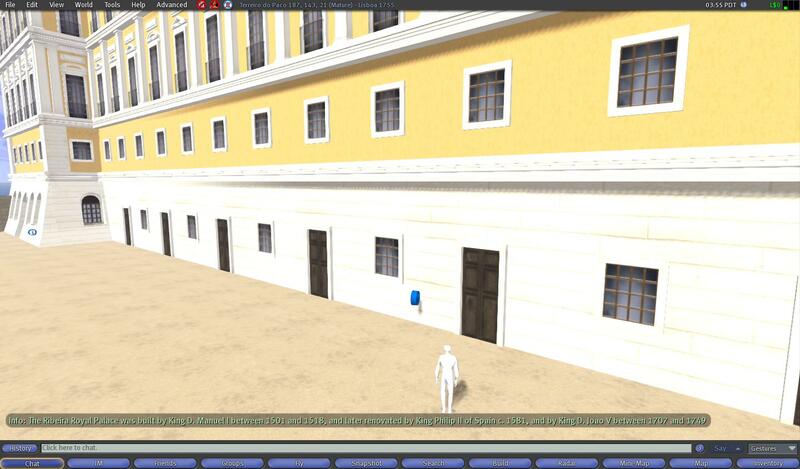 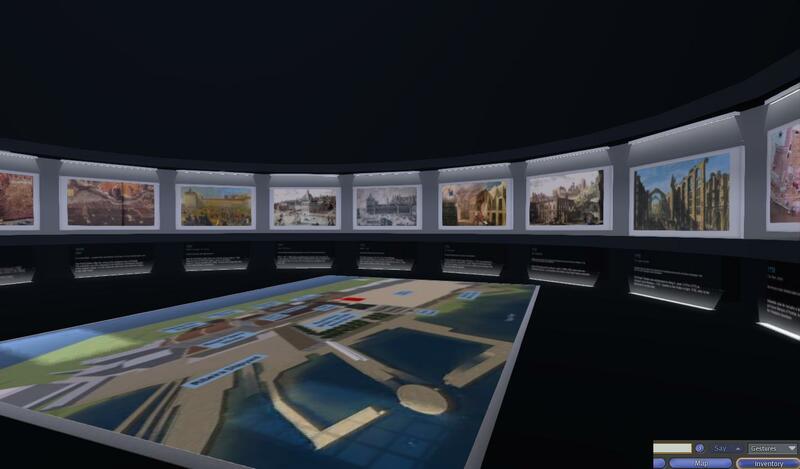 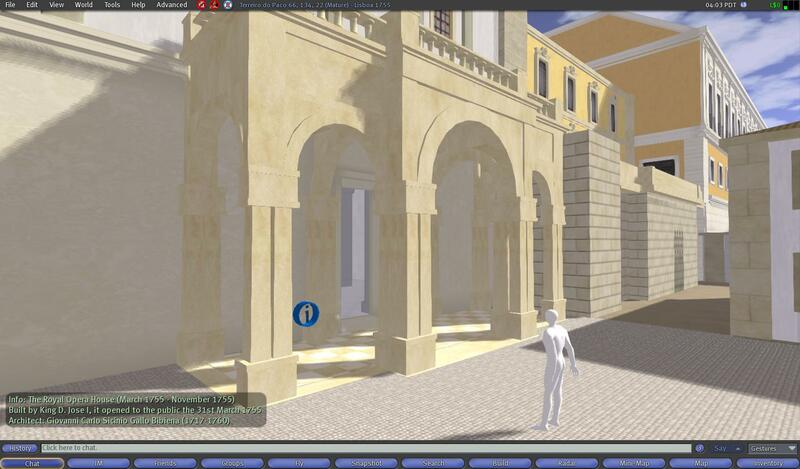 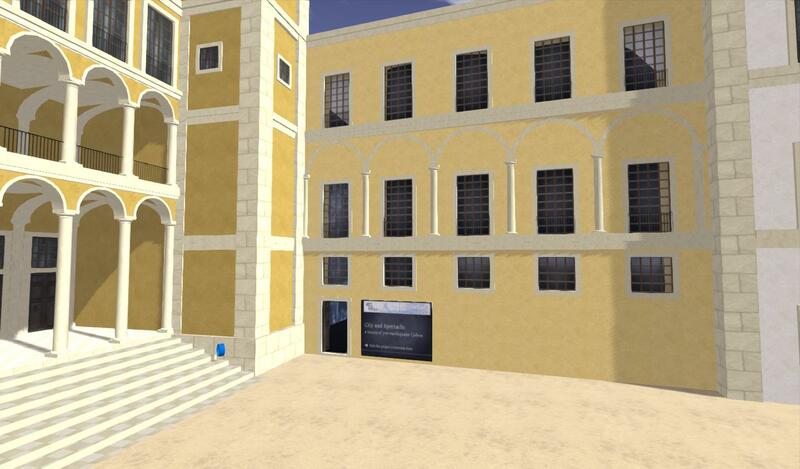 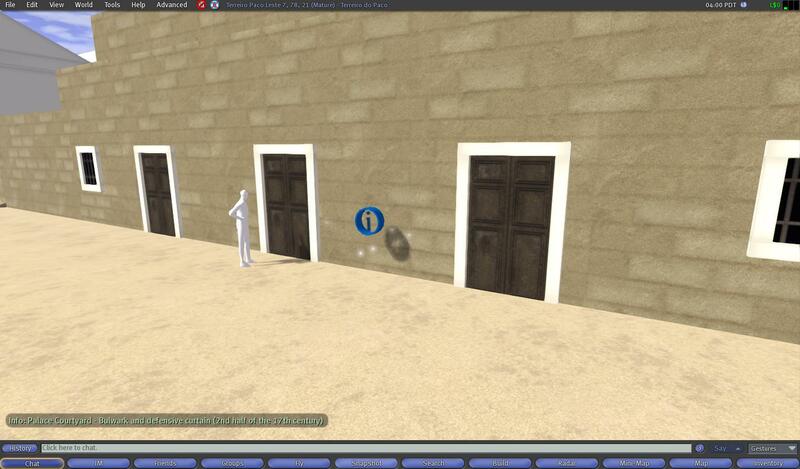 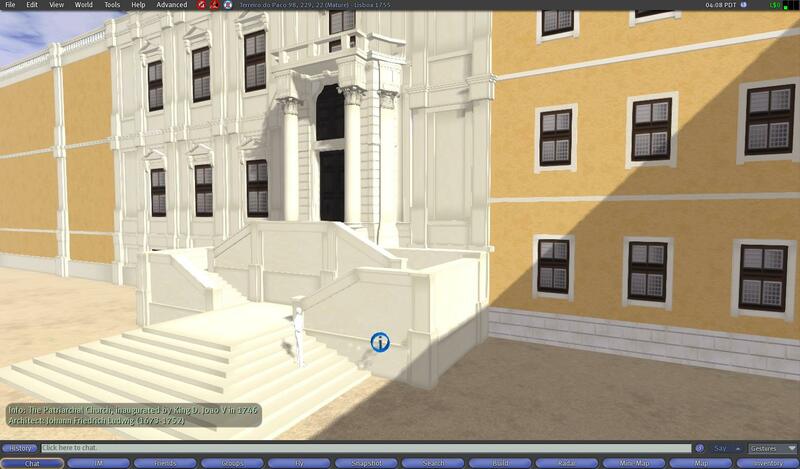 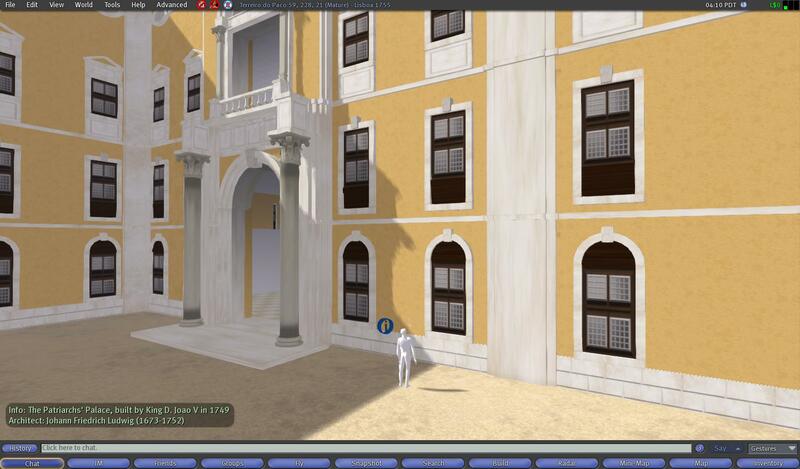 The virtual recreation of historical cities is an emerging area of research, allowing an innovative approach to the study and representation of cultural heritage. 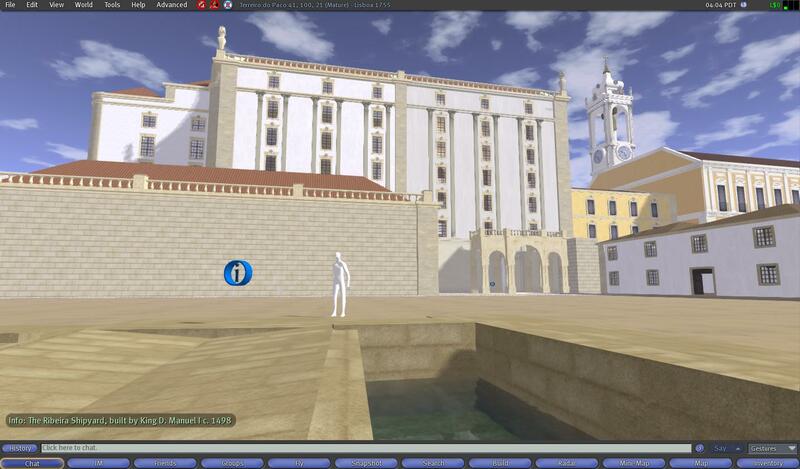 Currently, virtual worlds replace the classic instruments of 3D modelling, allowing users to interact in a easily built common space. 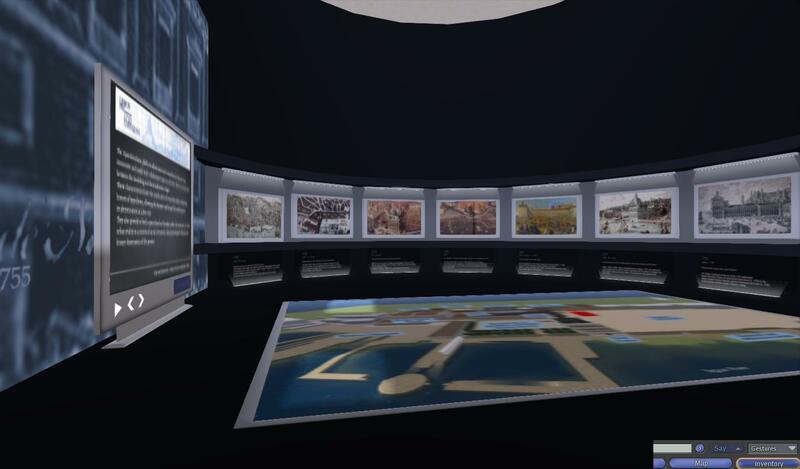 These characteristics foster coordination between researchers when confirming historical hypotheses, providing the object of study to be dynamically changed. 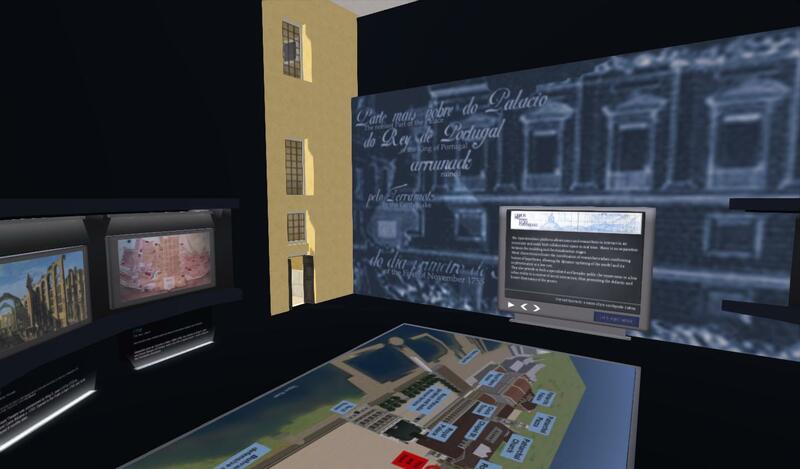 The application of the virtual language to historical research thus translates into a laboratory model that enables and expands the traditional context of the latter. 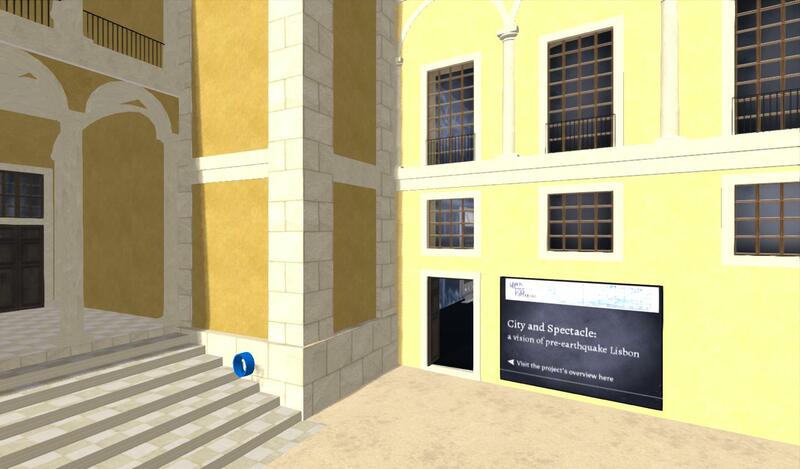 This new approach allows testing, in an interactive three-dimensional representation, a long research path in urban history. 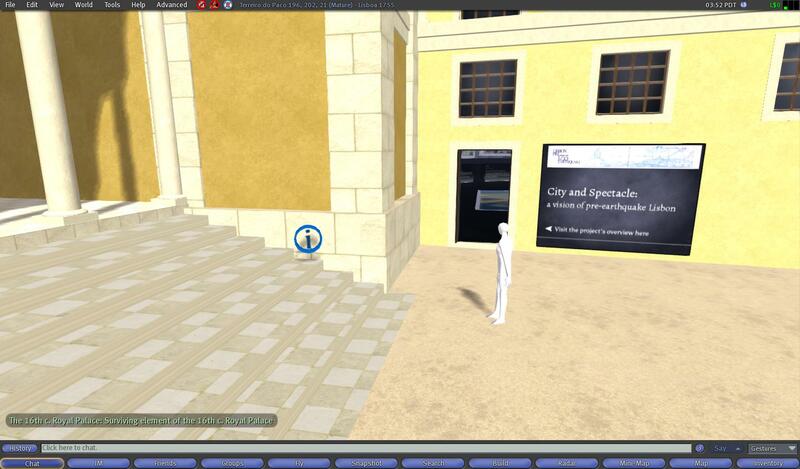 It also provides to an audience simultaneously specialised and enlarged an immersive experience in a lost urban reality. 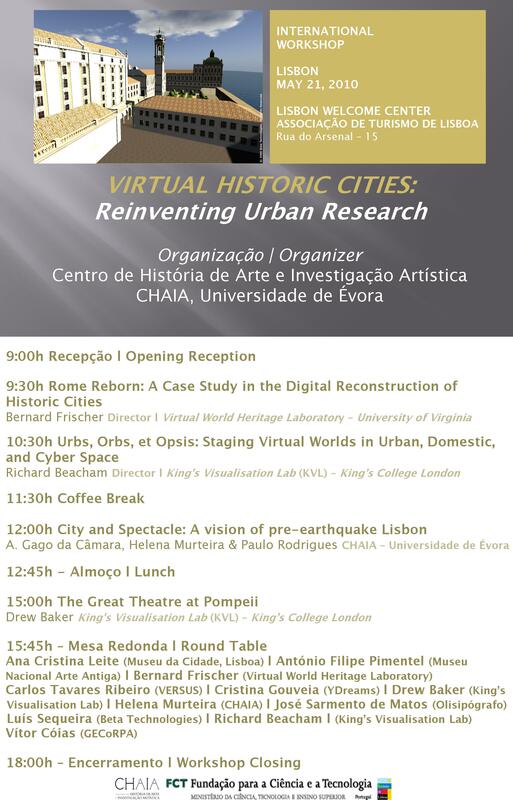 Participants in this workshop include Bernard Frischer, Director of the Virtual World Heritage Laboratory, University of Virginia and scientific coordinator of the pioneer project Rome Reborn, a virtual recreation of Classic Rome; Richard Beacham, Director of the King’s Visualisation Lab, King’s College London, an institution focused on the application of the virtual language to historical research; Drew Baker, researcher and one of the founders of this institution; Ana Cristina Leite, Director of the Lisbon City Museum; António Filipe Pimentel, Director of the Portuguese National Museum of Ancient Art; Alexandra Gago da Câmara, researcher of CHAIA; Carlos Tavares Ribeiro, member of the Scientific Committee of the company VERSUS – 3D interactive development in the Web; Cristina Gouveia, representantive of the company YDreams – specialists in interactive technologies; Helena Murteira, researcher of CHAIA; José Sarmento de Matos, specialist in Lisbon studies and scientific coordinator of the Cultural Itineraries of the Tourism Association of Lisbon; Luís Sequeira, representantive of the company Beta Technologies – Architects of the Virtual World; Paulo Rodrigues, researcher of CHAIA; and Vítor Cóias, Director of GECoRPA – Group of companies for the conservation and restoration of architectural heritage. 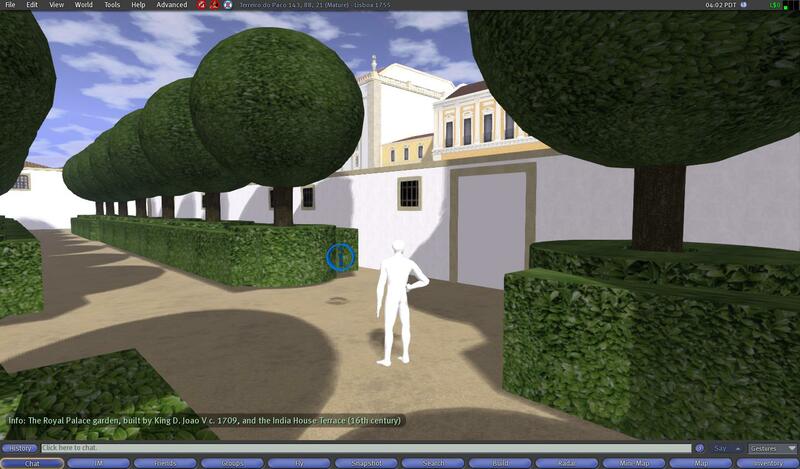 This project is registered in the IGAC/State Department of Culture of the Government of Portugal and therefore protected by current intellectual property legislation, being expressly prohibited its total or partial reproduction, copying or storage without the express written authorisation of the authors.